Dubai, UAE: A combination of near priceless, classic cars mixed with the ultimate in modern, bespoke luxury and supercars have been confirmed to headline the inaugural Gulf Concours to be held on the lawns of the world’s most luxurious hotel, Burj Al Arab Jumeirah in Dubai from November 17 to 19. The Gulf Concours is set to redefine the definition of a Concours with the inclusion of a hand selected mix of ‘modern bespoke’ cars to supplement the world’s rarest, most valuable classics on display. Complementing the Classic display will be a selection of new cars from McLaren, Bentley, Aston Martin and Rolls-Royce which, together, will comprise up to 50 of the world’s most exotic cars ever assembled in one location. Set in the lush grounds of the new Burj Al Arab Terrace and around the gardens, the invitation-only event will remain an intimate and luxurious environment for exotic car lovers to mingle with like-minded enthusiasts of luxury brands. 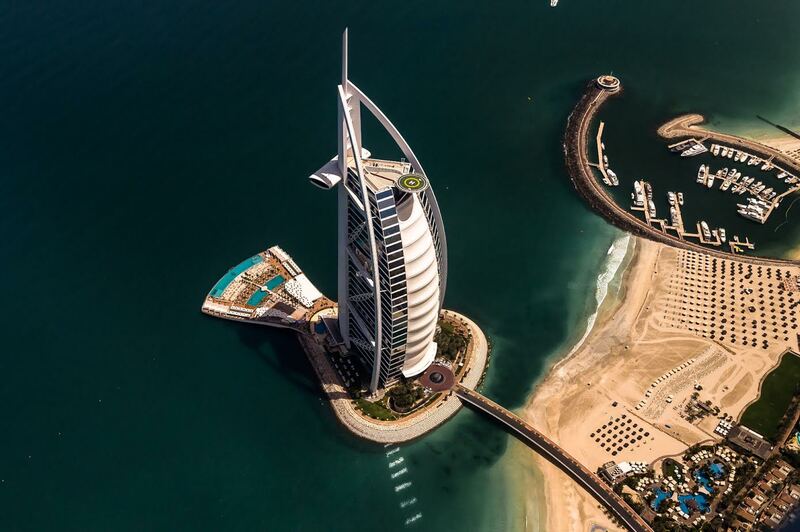 “Burj Al Arab Jumeirah is a symbol of Dubai and the world’s most luxurious hotel, renowned for providing exceptional guest experiences. Therefore, it is only fitting that the inaugural Gulf Concours takes place here. We are very much looking forward to having the world’s rarest classic cars displayed in our gardens in November and welcoming collectors and connoisseurs from the GCC and beyond, to Dubai,” said Mr. Anthony McHale, General Manager, Burj Al Arab Jumeirah. Dubai and the United Arab Emirates is the perfect location for this new twist on the traditional Concours with the addition of new cars as it reflects the Gulf’s love of rare, exclusive and sometimes near priceless motor vehicles both old and new. Renowned UK Ferrari specialist, Talacrest and the Al Yemni Group of KSA have formed a partnership to closely serve Ferrari Classic cars enthusiast and collectors in the region with the display of three headlining cars including the fabulous Ferrari 250 GT Competition Berlinetta Sport Speciale. Hollywood star Ingrid Bergmann and husband Roberto Rossellini were keen Ferrari enthusiasts, buying a very special 375mm in 1954. It has been rumoured that this 250GT Competition Berlinetta Sport Speciale was commissioned for Bergmann a year later, however she never took delivery of the car. This Chassis 0403 received unique special coachwork by Pinin Farina and as a one-off 1950’s coach-built competition aluminium bodied Ferrari, would be guaranteed entry to any Concours event in the world. The first documented owner kept it in Modena but by the 1960s it had crossed the Atlantic to the US where it spent most of its life. On seeing the car at the Pebble Beach Concours recently, designer, Sergio Pininfarina said it was one of his favourite designs. Excellence, heritage and originality are the three pillars which form the ideals of the Gulf Concours as defined by the organisers who have been behind some of the most elegant Concours around the world. Most recently, the team ran the successful Concours of Elegance held in the private quadrangle of England’s Windsor Castle with the kind permission of Her Majesty The Queen. “Breakfast with the cars” will be the perfect start to the day for guests attending the two days of judging, while a garden party, afternoon teas and an evening party hosted by Burj Al Arab Jumeirah on the first night are just some of the other attractions on offer over the course of the weekend. “The world’s rarest and most valuable classic and current cars will be on display for this exclusive event,” said Rory Heron, Managing Director of Thorough Events Singapore, the event owners and organisers.